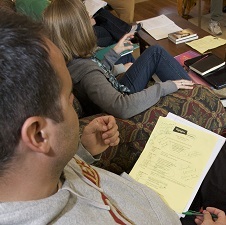 Have you heard of our Whole Novel Workshops? Founded in 2006, these workshops are specifically designed for writers of middle grade and young adult novels. Our aim is to focus on a specific work-in-progress, moving a novel to the next level in preparation for submission to agents or publishers. 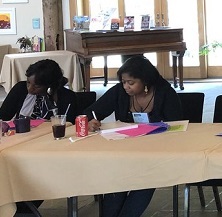 The Whole Novel Workshops offer writers the rare opportunity to have the entire draft of a novel read and critiqued prior to the workshop, followed by a week of intense, one-to-one mentoring. We are offering 4 Whole Novel Workshops in 2019! Focused, one-on-one response to your entire novel-in-progress from an accomplished author and teacher. Seminars on technique, craft, query letters, and agent/editor submissions. Writing exercises and group reading. Opportunities to make connections with fellow writers. What do past students have to say about the Whole Novel Workshop?